Hello everyone! 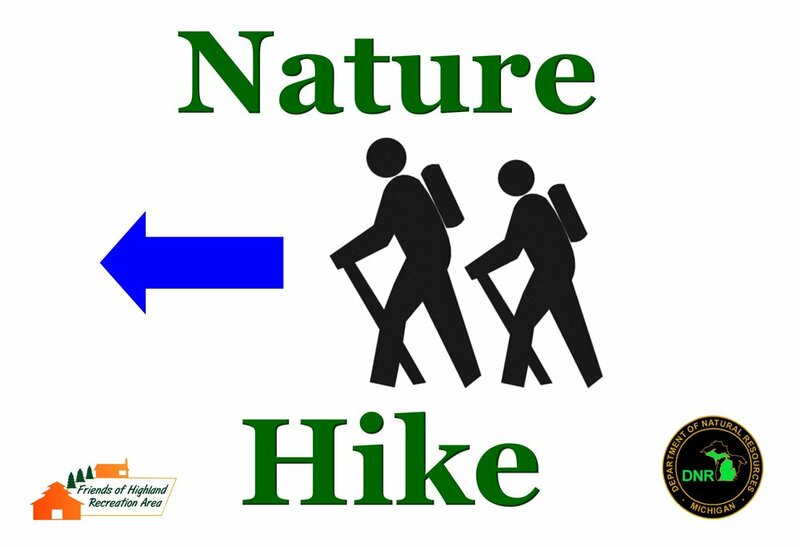 There will be a nature hike at Highland State Recreation Area on Saturday, June 9 at 1:00 pm. Meet at the Circle parking lot. The hike will be to the Haven Hill Lodge and then back down the road to the loops by the Haven Hill Lake dam. Plan for an approximately 4 mile, easy-paced nature hike with plenty of opportunity to take pictures. The trails are moderately inclined and dog-friendly; recreation pass required for vehicle entry. Go to http://www.fohravolunteers.org/hiking/ for more hike info and links to Maps and directions. Come on out, meet new friends, and enjoy the beauty of the Haven Hill Natural Area! A Recreation Passport is required for state park entry. Today's hike (Saturday, October 7) is scheduled from 2:00 - 5:00 pm and will start from the Goose Meadow parking lot. Children and dogs welcome. Sunshine is in the forecast before rain starts again later tonight. Be sure to bring plenty of water (even if it's not warm outside) and wear shoes with good tread - they will keep you and your feet happy. Come out and see a spectacular display of Fall colors along the roads, hills, and lake shores at Highland State Recreation Area. The colors are fantastic now. See the best views during the golden hours at sunrise and sunset. Enjoy the cool temperatures and get outside for "Nature's Show Time"! The Chief Pontiac Trail Committee is hosting Snow Snake Races on January 31 at the Edsel Ford Barn 1:00 - 4:00 pm. Come check it out! Fun for all ages. $3.00 donation suggested but it's free to watch and to cheer on the competitors. Snow snake kits can be purchased for $5 and loaner snakes are available for racing. Purchase a snake kit on January 31 and you'll have plenty of time to get it ready for the next race on February 13th. It's a great project and event for kids and grandkids. The new Cedar Creek Trail at Highland Recreation Area serves as an inspiration for the new hike. The Haven Hill Festival, a celebration of Edsel and Eleanor Fords’ historic Haven Hill Estate and the Highland State Recreation Area, will be held on Saturday, August 29, 2015. Parking is at the Goose Meadow picnic shelter area, the 1st right turn on Haven Hill Road after you enter the park off of M-59 between Duck Lake and Bogie Lake roads. Bring picnic blankets, sun umbrellas, and folding chairs to stay and watch the Old Fashioned Base Ball game! Food will be available for purchase as a fund raiser for the Friends of Highland Recreation Area. The Friends of Highland Recreation Area (FOHRA), is a non-profit organization supporting the Highland State Recreation Area in Highland/White Lake, Michigan, and the historic Edsel Ford Haven Hill Estate structures within its boundaries.